The primary goal of Functional Medicine is to prevent illness. Do you have any, some or all of the following 5 symptoms? These are symptoms that the majority of people that come to my office in Naples, Florida experience. These conditions are not well treated with conventional medicine. When they are treated, it is usually with pharmaceuticals that do not fix the condition, but rather mask the symptom that is telling you things are going haywire in your body. If you have one or more of the symptoms listed above you should read the rest of this page very carefully. The symptom list above are those associated with adrenal stress and the body’s stress response breaking down. If this system breaks down, it leads to a predictable series of issues in the rest of the body. The reason why you are under adrenal stress is because we all have seen and unseen stressors that initiate the stress response in the body and activates the adrenal glands to pump out cortisol into the blood stream. When the stress response becomes chronic and is happening regularly, the shut off switch breaks and illness begins. When our body goes into the stress response, the thyroid gland is signaled to reduce production of thyroid hormone. For the majority of people with a hypothyroid condition, this is the cause. Medicating with thyroid hormone does NOT address the underlying cause of the hypothyroidism. At this point in the system breakdown, you are in a catabolic state. Now you begin to break down your own body tissues. You start breaking down lean muscle mass and you also break down the gut lining. The body is now prioritizing the stress response over digestive function, so the immune system in the gut has to be sacrificed. This weakened gut lining is what is referred to as “leaky gut”. Now we have a compromised gut lining so food is not properly broken down and absorbed as nutrients that fuel your body. People often start to react to foods that never bothered them before. Infections of the digestive tract now have an opportunity to take hold because of the lowered immune defense in the gut. If this inflammation in the digestive system continues for long enough, the liver then gets overwhelmed. Of course the liver is always exposed to and processing environmental toxins, but the extra load of toxins coming from the gut and the gut related problems tend to cause the liver detoxification system to crash as well. As you can see, the entire body gets affected when our body is experiencing or perceiving stress on a regular basis. This scenario can easily be prevented by measuring your stress response. If you have any of the five symptoms listed at the top of the page or if you have been diagnosed with any of the illness listed below, your adrenal system needs to be addressed before everything else, or you will not be able to heal completely from the diagnosed illness. Take this Adrenal Stress Profile Questionnaire and see how your stress response system is holding up under the pressure of your daily life. What if I am retired and am not experiencing much stress currently? If you are retired and your day to day stress levels are low, congratulations! But, if you have EVER lived through an emotionally traumatic event like abuse, a bad relationship, war, the end of a relationship, intense school program, intense working schedules, the death of a loved one, caregiving, or any other big stressor you could have damaged your “HPA Axis”. If this gets damaged during one of these events, it is almost impossible to fix without the proper dosages of natural products and the proper lifestyle changes that restore function to this system. The functional medicine approach to treating chronic illness is to use lab based testing to diagnose breakdowns in three main systems and then customize a personalized treatment program that will correct the shut off switch of the stress response cycle. We address each body system in a systematic order that allows us to maximize treatment results and reduce the potential side effects of rebalancing these systems. We test the system. Based on the test results I design a customized, restorative 6-12 month treatment program. We retest, usually at the 6 month mark, and if normal, we begin a maintenance program that will support the stress response. Treatment consists of vitamins and minerals to get you feeling better so you can incorporate the customized diet, exercise, sleep and meditation lifestyle changes that are suggested. The goal is to get you healthy. We reset the system and I teach you the personalized lifestyle changes that will keep you the healthiest based on your lab results. The lab based systematic approach is what gives us results. All practitioners of every kind of medicine and even many informed consumers know that their adrenal system is shot, that their digestion is compromised and that they are experiencing stress on a regular basis which is negatively affecting their health. They usually know of a dozen different ways to support the adrenals or the digestive system. What tends to happen, however, is that treatment is geared toward fixing the symptom that is the most uncomfortable instead of the treating the initial breakdown in the body systems in the order they occurred. We all intuitively know that stress is contributing to our health problems. Starting a functional medicine program will really make a difference in how you feel on a daily basis. We will show you scientifically how your body is holding up to the stress you regularly experience. Using functional laboratory testing to determine the causes of chronic stress and direct therapies aimed at resolving the causes is important to your wellness and longevity. It is also a departure from conventional medicine’s symptom-focused care. Mainstream healthcare in America is primarily based on the suppression of symptoms. Medical doctors—as well as many “alternative” providers—provide this type of care. Long-term health improvements, which should be the driving force of any healthcare system, are often compromised and sacrificed to a system that thrives on short-term fixes. The divide between these schools of thought is shrinking, thanks to the awareness and actions of health enthusiasts and enlightened medical providers. Simply treating symptoms alone is destined to fall into the annals of medical history along with magic potions and snake oil. An alternative to conventional medicine does exist: Functional Medicine. This discipline incorporates elements of conventional medicine, but emphasizes prevention. Healthcare providers utilizing Functional Medicine (FM) critically analyze the body’s core functional systems for dysfunction. Symptoms are addressed, but only if treatment does not impede an accurate diagnosis and is devoid of harmful side effects. In contrast to conventional medical providers trained to identify and stifle the symptoms of a disease, practitioners of FM use in-depth patient evaluations and laboratory tests to identify lifestyle factors, as well as hidden physical factors, that drive chronic stress. The hidden, unseen physical factors—e.g. radiation, chemicals, heavy metals, parasites—are referred to in medical jargon as subclinical; they occur beneath the surface of clinical observation. What tests are promoted in Functional Medicine? HPA (hypothalamic-pituitary-adrenal) axis dysfunction is involved in virtually every physiological process in the body. It does not matter whether the condition is caused by, or simply correlated with, an increase or decrease in HPA axis dysfunction (otherwise known as maladaptation to stress). Unhealthy lifestyle habits (poor diet, inadequate exercise, insufficient sleep, lack of relaxation, and internalizing emotional stress) are sources of chronic stress that may be underlying causes of HPA axis dysfunction and hormone imbalance. Other common sources of chronic stress include: food sensitivities, inflammation, GI infections, and heavy metals. Chronic stress erodes health and compromises longevity by impairing the function of critical systems in the body. Under chronic stress, the HPA axis down-regulates the output of cortisol—often referred to as the “stress hormone.” The principal hormones produced by the HPA glands—cortisol, DHEA, aldosterone, testosterone, estrogens, and progesterone—can all suffer when HPA axis dysfunction or maladaptation to stress occurs. By supporting proper HPA function, you take great strides in restoring and improving your health. Digestive tract infections and dysbiosis must be evaluated to determine a patient’s foundational health status. This test uses advanced staining and antigen techniques to recover pathogens and detect non-pathogenic organisms without the confusing results seen in less time-proven methods. This panel is popular because it is the most comprehensive initial screen. Who is the Ideal Patient for Functional Medicine? The ideal patient for functional medicine is someone who believes in prevention over crisis intervention. Functional medicine is for those that are healthy, but know they could feel better. It is for those who want to do everything in their power to maintain good health. It is for those who have family histories of scary disease, and want to avoid getting that disease too. Functional medicine is for those that are not sick, but just don’t feel well and the lab work at the medical doctor says you are fine, and you know you aren’t. 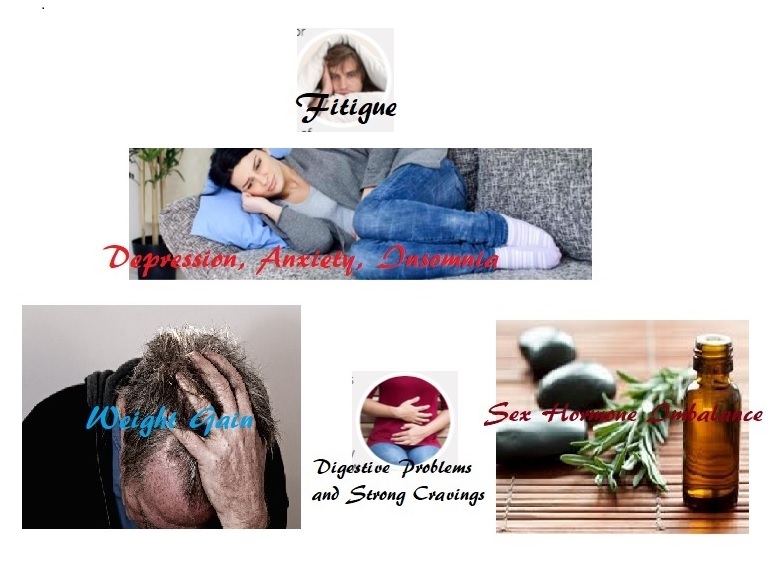 It is for those who have the big five symptoms; fatigue, depression and or anxiety, extra fat around the midsection, digestive issues, and/or hormonal issues. It is for those who want to live their healthiest, longest life enjoying the activities that nourish their spirit. The absence of symptoms does not mean you are in great health. If you are like most people, you approach your health with an “if it’s not broken, don’t fix it” attitude. You may seek professional help only when experiencing intolerable symptoms, or when you’re afraid that they might indicate a serious or life-threatening condition. You might gratefully accept your doctor’s diagnosis and recommendations for symptomatic care. Indeed, your symptoms may respond favorably to prescription drugs, over-the-counter medications, or natural remedies. This care may seem like a great thing—after all, we all want to feel better. However, danger lies in suppressing symptoms while the underlying cause goes undiagnosed. The fact that you no longer experience any symptoms after treatment does not guarantee that they won’t return. Nor does it mean that the cause of the symptoms has been resolved. The view of medicine is changing in our world right now, and I believe that functional medicine is the future. At Acupuncture & Natural Health Solutions, we integrate Chinese medicine and acupuncture with functional medicine to provide the best of care. If you are not happy with the medical treatment you have been receiving, I encourage you to schedule a functional medicine new patient consultation so you can truly heal. Kalish Functional Medicine Certificate of completion.